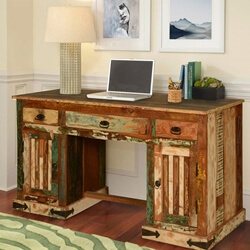 A work desk should work for you, not against you. 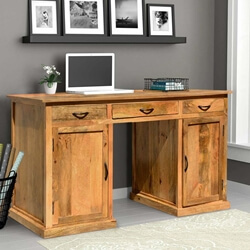 There should be enough storage for you to stay at your work space long enough to get the work done. 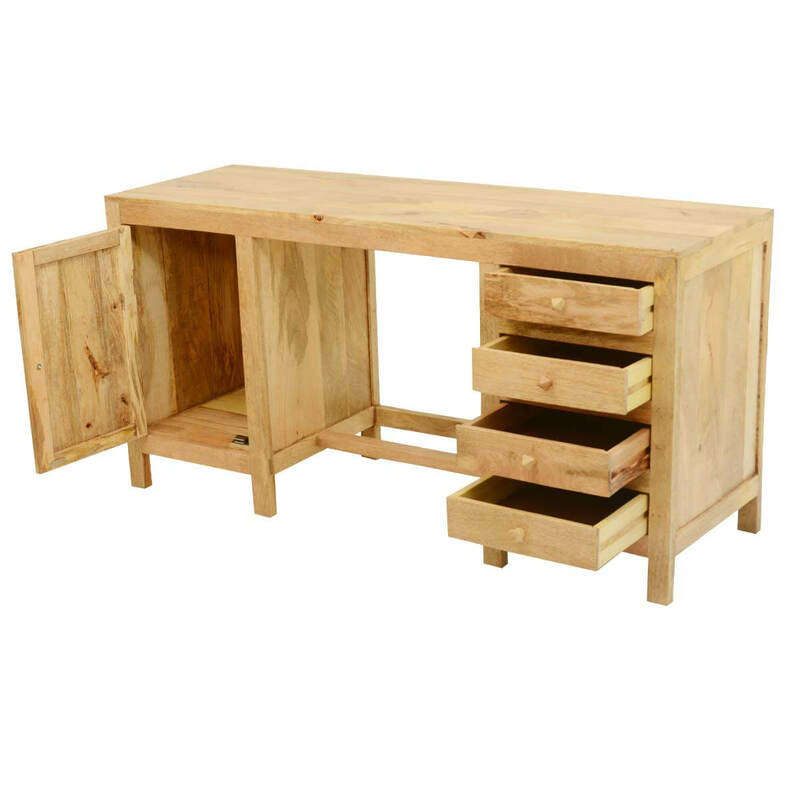 Our Contemporary Double Pedestal Desk features four drawers on one side and a large single shelf cabinet with a cutout hole on the other side. 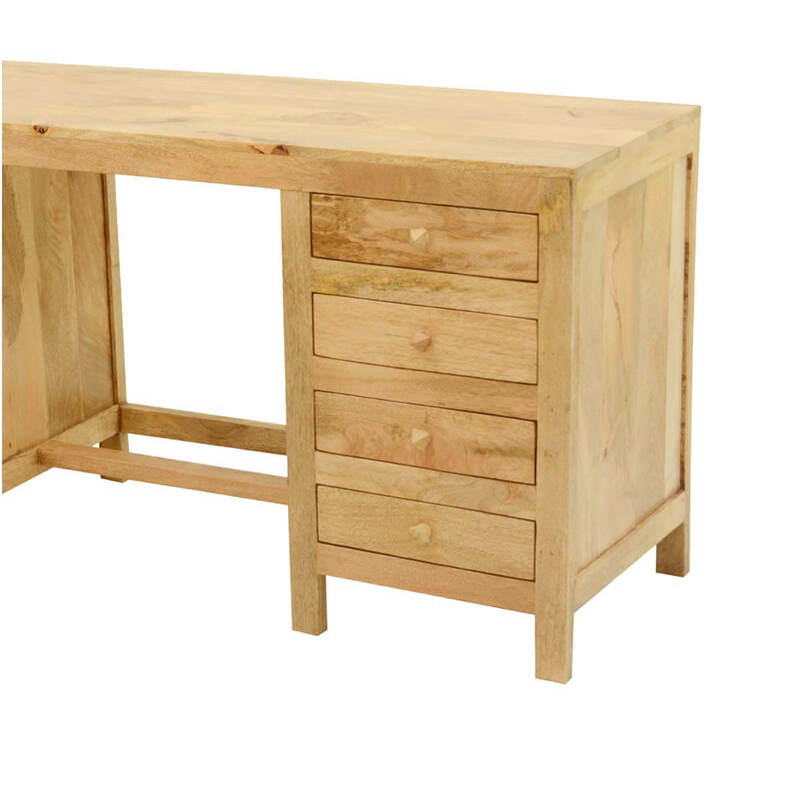 Two support stretchers for extra stability. 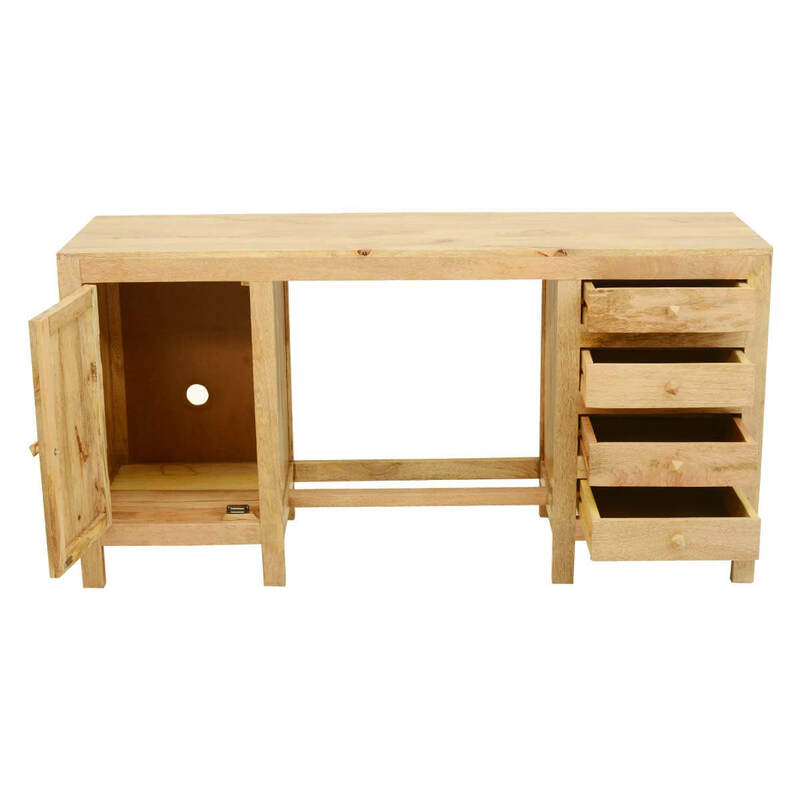 The cabinet top is flush with the frame. 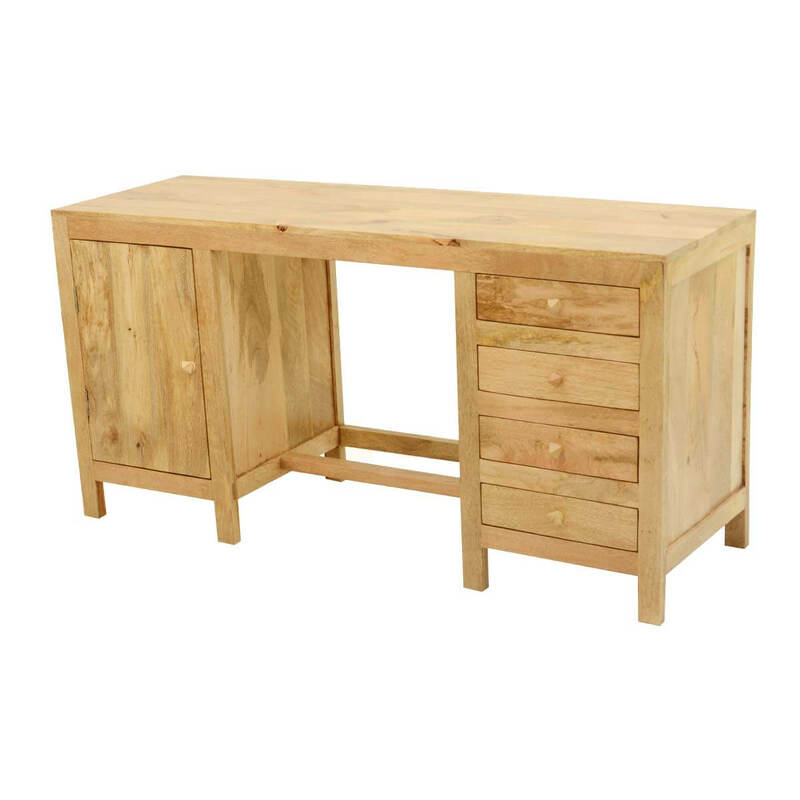 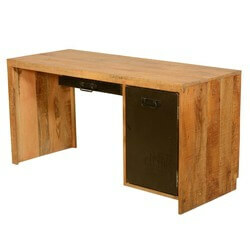 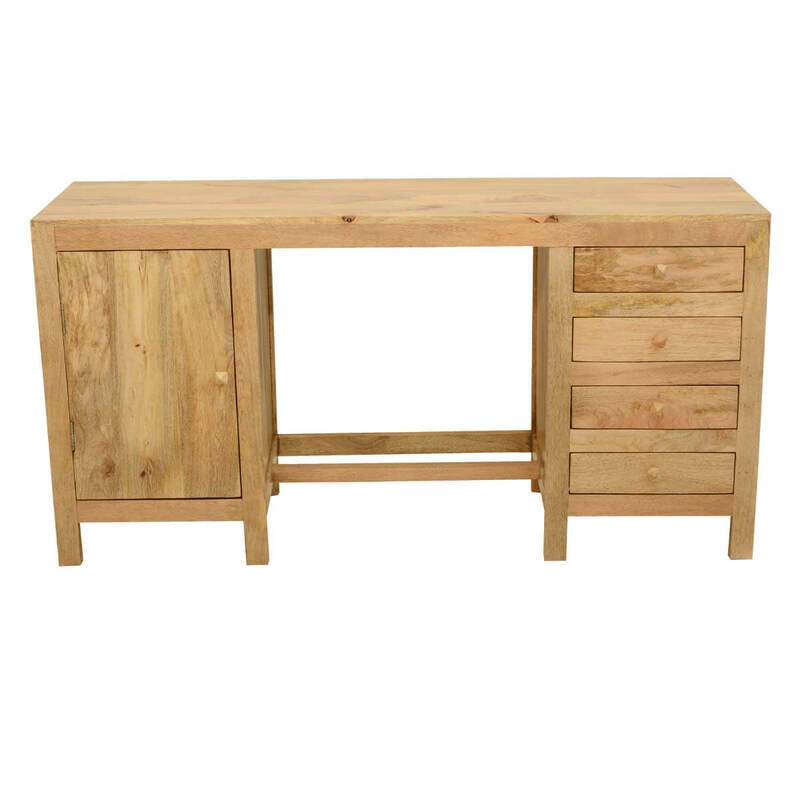 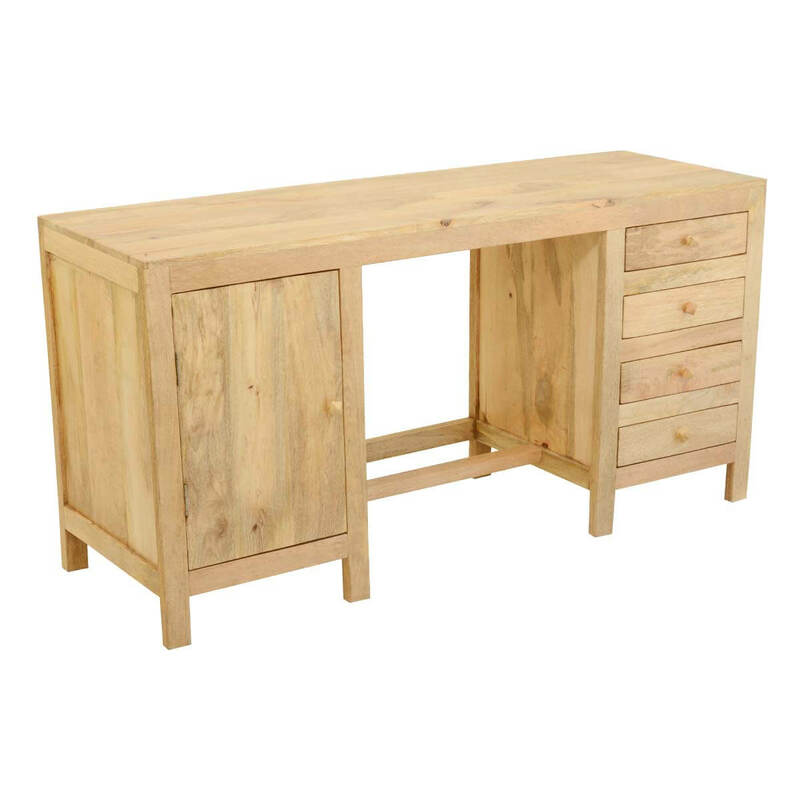 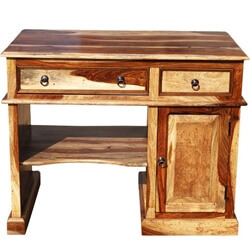 Our handmade solid hardwood desk is built with mango wood, grown in the tropics as a sustainable crop.